Professor Thomas Scanlon gave a lecture on "What is Morality?" at the University of Guelph, Canada, on March 21, 2013. Thomas Scanlon is Professor of "Natural Religion, Moral Philosophy, and Civil Polity" at the Department of Philosophy at Harvard University. His latest book is "Moral Dimensions" (Harvard University Press, 2008). His new book on "Being Realistic about Reasons" is coming out on Oxford University Press in 2014. The University of Copenhagen is hosting a conference on "Facts and Norms", August 22-23, 2013. "The European financial crisis and the failures of climate politics call for a revisited political theory. What role do scientific facts about climate change and social facts about immigration and political identity play in the determination and justification of political and social norms? The purpose of this conference is to discuss two sets of questions. First, what relevance do facts have in normative political theory? Second, what relevance do norms have in the empirical political and social sciences?" "Creating Legitimate Constitutions: The Possible Role of Procedures"
"Facts, Norms, and the Nature of Justice: Reflections on Cohen and Anderson"
"What to Expect (and not) from the Pragmatic Turn in Political Theory"
A roundtable with Rainer Forst (Frankfurt) under the titel "Towards a Critical Theory of Transnational Justice" took place at the University of Hamburg on June 10, 2013. Four editors of the journal "Global Constitutionalism" participated in the discussion: James Tully (Victoria), Mattias Kumm (New York/Berlin), Antje Wiener (Hamburg), and Anthony F. Lang (St Andrews). Introductions by Antje Wiener and Maximilian Steinbeis. See Rainer Forst's paper on "Transnational Justice and Democracy" (2011, pdf) and his book "The Right to Justification" (Columbia University Press, 2011). "Conceptual Analysis and Distributive Justice"
"This paper, written for the forthcoming Oxford Handbook of Distributive Justice, ponders several understandings of conceptual analysis in the context of debates over distributive justice. The paper's first two main sections consider the concept/conception distinction in its multi-layered complexity in a couple of prominent recent accounts of justice. It explores how those theories of justice unfold over several levels of increasing specificity. Thereafter, the paper takes up the vexed question whether expositions of the concept of justice can ever be austerely analytical or formal rather than morally value-laden. A negative answer to that question emerges from an investigation of a major contemporary theory of justice. In a prelude to the substantiation of that negative answer, the paper distinguishes between value-independence and value-neutrality. Though some possible accounts of justice are at least partly value-neutral, no accounts are ever value-independent." 4. Justice from the Formal Constraint of Consistency? Matthew H. Kramer is Professor of Legal and Political Philosophy at Churchill College, Cambridge University. 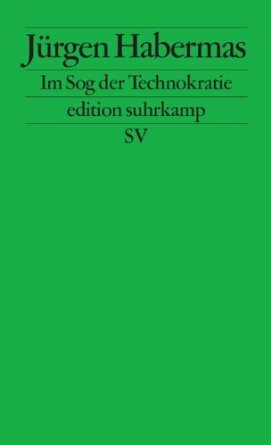 "Seit 1980 versammeln die Bände der Reihe Kleine politische Schriften Analysen, Stellungnahmen und Zeitdiagnosen Jürgen Habermas‘. Titel wie Die neue Unübersichtlichkeit sind längst in den allgemeinen Sprachgebrauch übergegangen. Im titelgebenden Aufsatz dieser Folge knüpft Habermas an seine viel beachteten europapolitischen Interventionen der letzten Jahre an. Angesichts der Gefahr, dass technokratische Eliten die Macht übernehmen und die Demokratie auf Marktkonformität zurechtstutzen könnten, plädiert er für grenzüberschreitende Solidarität. Neben Habermas‘ hochaktueller Heine-Preis-Rede enthält der Band Porträts von Denkern wie Martin Buber, Jan Philipp Reemtsma und Ralf Dahrendorf sowie einen Aufsatz, in dem der Philosoph sich mit der prägenden Rolle jüdischer Remigranten nach dem Zweiten Weltkrieg auseinandersetzt. Mit Band XII beschließt der Autor eine Buchreihe, die kaleidoskopisch Grundzüge einer intellektuellen Geschichte der Bundesrepublik widerspiegelt. Englische Titel: "The Lure of Technocracy". * Uwe Justus Wenzel - "Überschwang und Misere"
* Stefan Müller-Doohm - "Eine zerrissene Union an der Schwelle"
* Rudolf Walther - "Fortschritte und Probleme bei der Zivilisierung"
* Dieter Kaltwasser - "Plädoyer für eine europäische Solidarität"
* Alexander Cammann - "Sechzig Jahre am Nerv der Zeit"
Waldron's tribute was presented at the Memorial Service for Professor Ronald Dworkin, at St. John's Smith Square, London, on June 5, 2013. Dworkin's "vision was unified, in his great ethical work, Justice for Hedgehogs, by a principle of dignity. Each person, said Ronnie, has a certain responsibility for the precious shape of his or her own life, and everyone has a duty to respect the conditions under which others are able to discharge that responsibility. That’s what “human dignity” meant for Ronnie and it underpinned both the principles of responsibility that were so important in the luck-egalitarian side of his account of equality and the principles of mutual respect that are represented in the rule of law. His great work of synthesis, Justice for Hedgehogs revealed this as the foundation of all his positions — and I do mean “foundation,” which is not the same as the fortification that allows a philosopher to see off contrary intuitions. I mean that Justice for Hedgehogs bravely identified the very deep underpinning of his various positions, even though that explicit identification made each of them somewhat more vulnerable, by presenting a deeper as well as a wider and more integrated target." See also Waldron's article on Dworkin in "The Chronicle of Higher Education", February 19, 2013. See also Will Hutton's tribute to Dworkin in "The Guardian", June 9, 2013: "I despair as I watch the erosion of the liberal views I hold dear." I have made a collection of links to other tributes to Dworkin here.